DTW or Detroit Metropolitan Wayne County Airport is known by various names like Detroit Metro Airport, Metro Airport, etc. 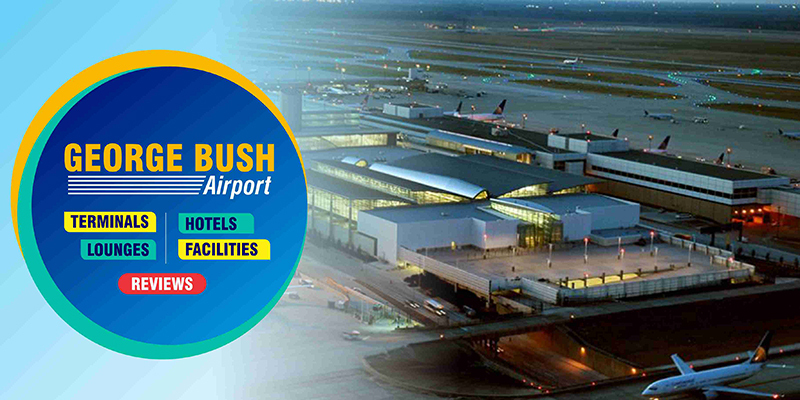 It is an international airport that is spread on a total area of 4850 acres. Being Michigan’s busiest airport, it is one of the largest airline hubs in the country. Detroit Metro Airport is the primary gateway to Asia for Delta and third-busiest gateway to Europe for the airline. Being Delta Air Lines’ second-largest hub in terms of total operations, the airport is a major gateway for tourism in metropolitan Detroit. The airport is also one of SkyTeam’s major Midwestern hubs. Talking about the runways, it has four main runways and two crosswind runways along with 2 terminals and 129 in-service gates. Detroit Metropolitan Wayne County Airport has also been selected as the 18th busiest airport in the United States for the year 2016. Detroit Metro Airport code is ‘DTW’. Once known as the Northwest WorldGateway, the McNamara Terminal was opened in 2002. It is designed by SmithGroup and built by Hunt Construction Group. The terminal was known as the Midfield Terminal at the time of development. The terminal includes 3 concourses i.e. A, B, and C. Plus, there are in total 103 gates with shopping and dining in the center of A concourse. The Concourse A comprises 3 Delta Skyclubs and 1 each in Concourses B and C. Trams arrive almost simultaneously at the Terminal Station, in the midpoint of the concourse and depart in opposite directions to the North Station and the South Station. The second one is the North Terminal which is designed by Gensler and built by Walbridge/Barton Malow Joint Venture. It was opened in the year 2008, in place of Berry and Smith terminals. Currently, the terminal supports all the non-SkyTeam airlines at the airport. It has 26 gates in total, two of which are opened to accommodate international wide-body aircraft. There are a number of features which you can enjoy at the airport. It includes four long segments of moving walkways on the departures level and on the lower level, there is another moving walkway. It is for the international arriving passengers to access the Federal Inspection Services area. The terminal serves its services to a number of major airlines like Alaska, American, Lufthansa, JetBlue, Southwest, United, Delta, etc. You will find two six-lane security checkpoints at the North Terminal. On the lower level, the terminal also has U.S. Customs & Border Protection inspection facilities. 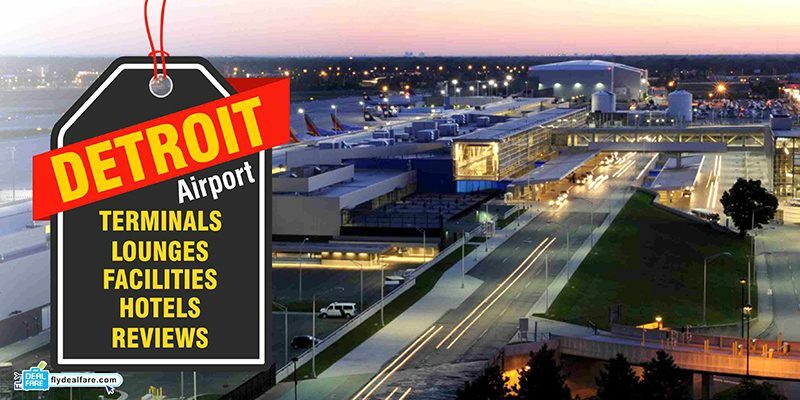 Following are details of hotels at Detroit Metro Airport. 1 Westin Detroit Metropolitan Airport Connected to the McNamara Terminal. Free 24-hour shuttle to the north terminal. There is the availability of Military Lounge at the airport. Michigan Freedom Center is located at McNamara Terminal, near Delta Airlines Gate A43. You can avail amenities like Comfortable couches and recliners, free WIFI, free snacks & beverages, microwave, laptops, etc. Passengers can enjoy unlimited free Wi-Fi at Detroit Airport. All you need to do is to connect to “Detroit Airport WiFi” network. You can easily find a number of cash machines or ATMs at the airport. At McNamara Terminal, It is located at airside, A Gates, B Gates, C Gates and at the parking garage of level 6. At the North Terminal, you can find these at ticket lobby, baggage claim area, Pedestrian Bridge to Parking Deck and at opposite Gates D6, D17, and D26. If you are traveling with an infant or baby, then there is the availability of baby care facilities like Diaper-changing tables and disposals in the airport’s Family Restrooms. It is located in the landside and airside areas of the airport. Passengers can easily find the Children’s play area at the airport at different locations such as at McNamara, airside (Gate A18), (Gate B20), (Gate C4) and at North terminal; at Gate D16. The airport authorities do provide cots in case of bad weather or massive flight cancellations. The airport has a supply of cots/sleep pads for stranded travelers. Plus, the cots are not available for passengers who simply decide to spend the night in the airport. At McNamara Terminal, it is located at Departures near gate A38. There are a number of options eating available at the airport with varying schedules. Passengers can pick from any of the alternatives and there are plenty of vending machines located throughout the airport. Always look for the “Service Animal Relief Area” sign. You can also get the glimpse of Spa services at McNamara Terminal (Airside), Gate A45 and North Terminal (Airside). I flew AMS-DWT and then on to MKE at the end of May. It was a fair walk from the arrival gate to immigration passing the US citizen entry area which was quite full I only had 1 hour left of my transfer time left so was a little apprehensive as to how long the queue for non US persons what a surprise around ten booths open and around twenty people yes 20 people queuing! I was chatting to the CBP guy for 5 minutes since there was no one behind me it seems that immigration had been full at 2 pm with flights from ‘Asia’ but is slow at 3 pm for a while. I continued on past baggage claim (I only had hand luggage) and on to security screening again no queues. The staff was very friendly and we chatted about the difference between DTW and the madness at ORD and I was on to my next flight around 20 minutes from leaving the plane and half of that was chatting to officials. The elevators bring you out in departures at the central train stop so on to the train to the north station and the gate was around 2 minutes walk, as usual, I checked the gate and time I had time to freshen up and bought a Philly Steak which was very nice and around $5.00 soon after they were calling the flight. I have used the airport before without problems I have to give DTW 10 out of 10. A quick note you can take food and drink you buy in the terminal on to planes in the US most people seem to since they don’t serve more than pretzels on board it is called buy and fly. Using this airport has always been our preference for entry into the US. Recently the care and support we received from so many employees at the airport along with officials have been outstanding. My in-laws traveled there recently with our son who has learning difficulties and they made every effort to make his passage through the facility as stress-free as possible. At other airports help has been offered grudgingly and resentfully – here at Detroit Wayne, it was offered professionally and effectively. McNamara (Delta’s) terminal. Very fast security (less than 5 min) very clean aesthetic and airy. Very helpful staff good places to get a snack or a good meal that range from common and affordable chains to exclusive restaurants. Love their VINO bar. There is a hotel inside the terminal and free internet for 30 min. Very rare delays. Very fast luggage delivery. Probably the best airport in the country and the best place for transit. Very limited public transportation. Plenty of parking – the closest one (2-10 min walk to the terminal) is expensive – 20$/day. 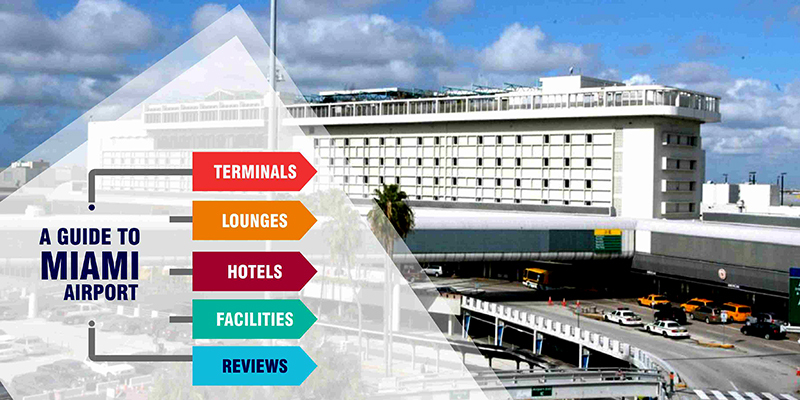 A Guide To Miami Airport Hotels, Lounges, Terminals & Reviews! George Bush Airport Hotels, Lounges, & Terminal Details!